Chow Chow is rich in fibre, amino acids and vit c; it is also beneficial against cardiovascular disease and cancer. Take a pressure cooker; add channa dhal, turmeric powder, salt, chopped chow chow along with a cup of water and cook it for 2 to 3 whistles. Grind coconut, green chilli and cumin seeds adding very little water; keep aside. Once the pressure releases, add coconut paste to cooked dhal and veg mixture. Give it a mix and allow to cook for 5 minutes in medium flame. Meanwhile heat oil in a separate pan, season with all the ingredients given under "For Seasoning" one by one. Once it splutters, pour over the veg mixture and give it a mix. Remove from the stove and serve hot . 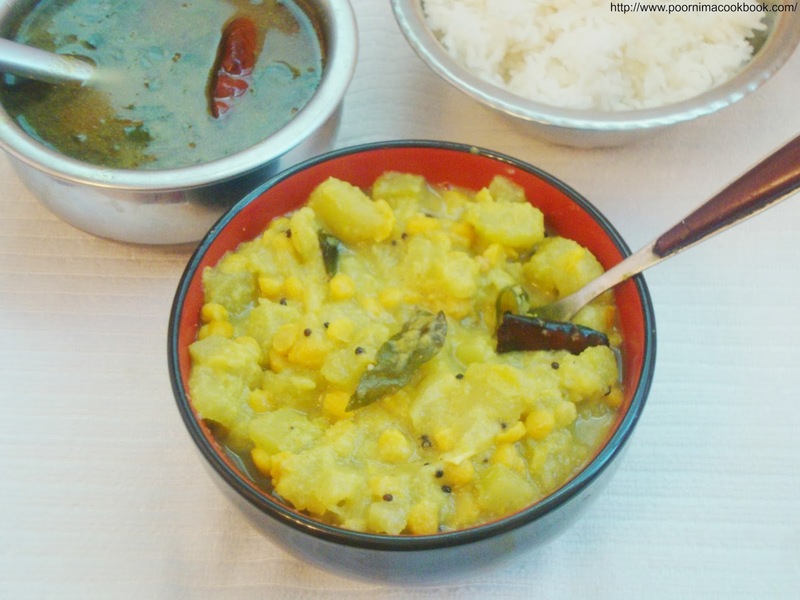 You can add sambar powder instead of green chillies for spiciness. 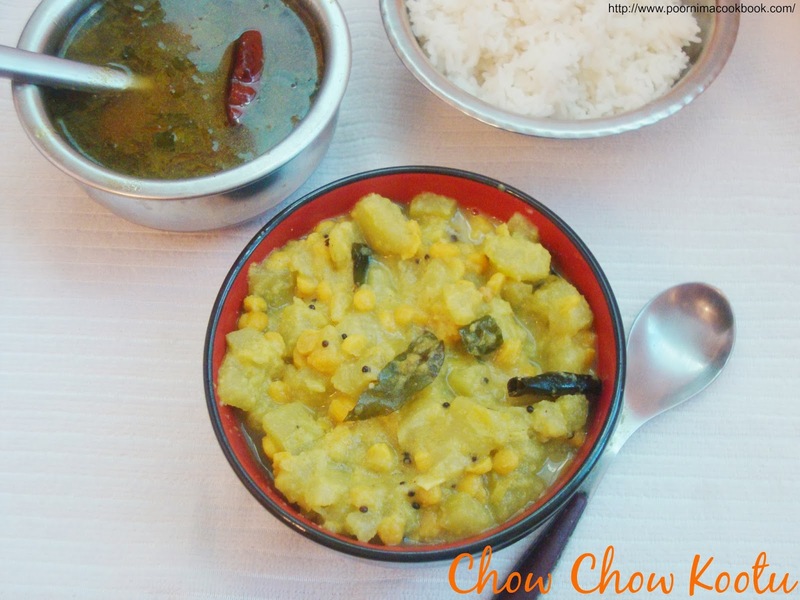 Instead of channa dhal; you can also use moong dhal to prepare this dish. 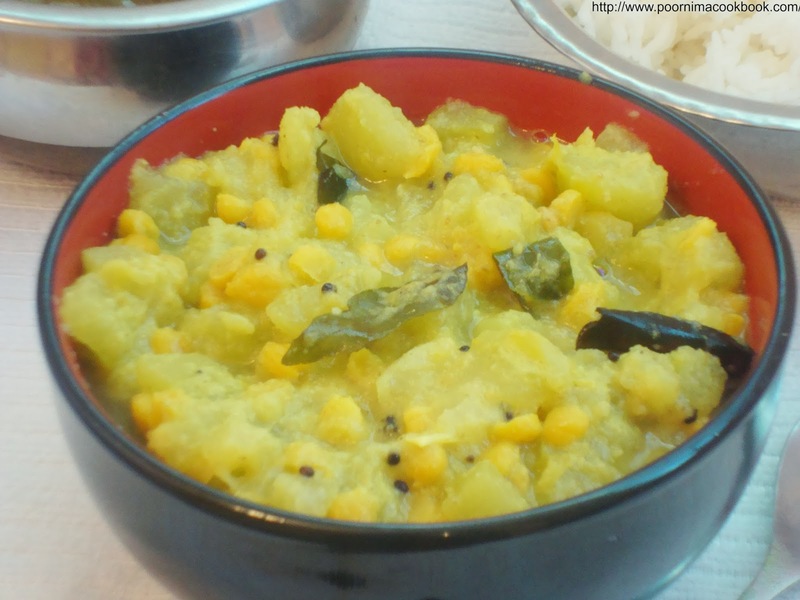 I used to make this way for snake gourd kootu. Will try next time with chow chow. Good one. One of my favorites! Healthy recipe! I love your blog! Happy to follow you! healthy kootu love to hv it with rice!! !